The HP Colour LaserJet Enterprise CM4540f is a multifunction printer designed for workgroups. This unit is capable of printing, scanning, copying, faxing, and sending digital files. It also boasts scan-to-USB functionality. Quality of output is good. The speed of the HP Colour LaserJet CM4540f is also decent. It has a large monthly duty cycle of 175,000 pages and recommended monthly volume of 5000 to 9000 pages. The HP Colour LaserJet CM4540f multifunction printer could be better if it had built-in Wi-Fi. The HP CM4540f MFP multifunction printer measures 35.8 x 26.3 x 44.1 inches and weighs 166.5 lbs. The Colour LaserJet Enterprise CM-4540f MFP printer is supported by a base with wheels for easy movement. On top, there is a flatbed scanner with an ADF. The control panel is organised and features a touch screen display. The Colour LaserJet CM-4540f MFP uses the HP 646A toner cartridges with the option to install a high capacity black HP 646X printer cartridge if needed. 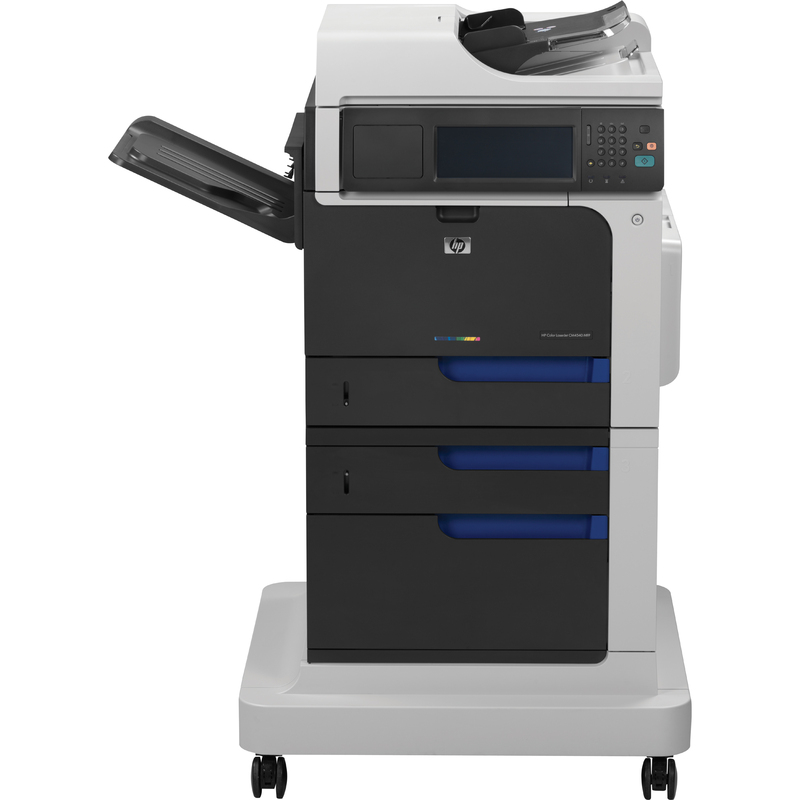 The HP Colour LaserJet CM4540f can help save space and resources in the office. With just one unit, users can already print, fax, copy, and scan. The HP CM4540f Colour LaserJet Enterprise printer is pretty quick, with speeds of 42 ppm in black and white or colour. It helps reduce paper waste with the automatic duplexer and the scan-to-USB and digital file sending functions. The CM4540f colour laser MFP printer is easy to use, thanks to its large colour display and touch screen. Expect the HP CM4540f printer to be a bit pricey. The HP LaserJet Enterprise CM4540f colour laser printer does not have standard Wi-Fi.